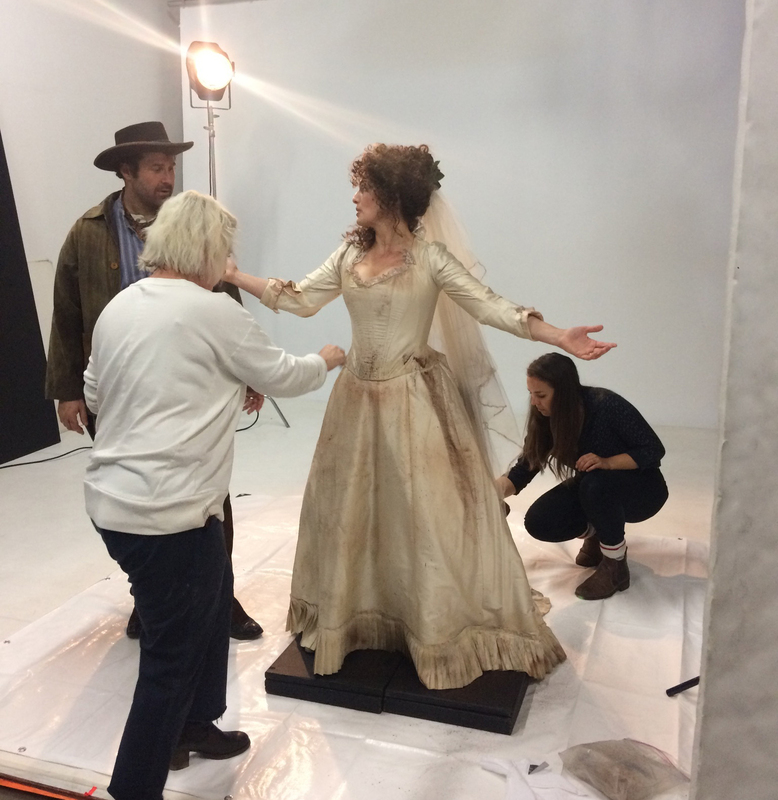 We’re going behind the scenes at the advance photo shoot for The Taming of the Shrew! Featured in the photos are long-time Bard Company members Jennifer Lines, who will be playing Kate and Andrew McNee, who is cast as Petruchio. 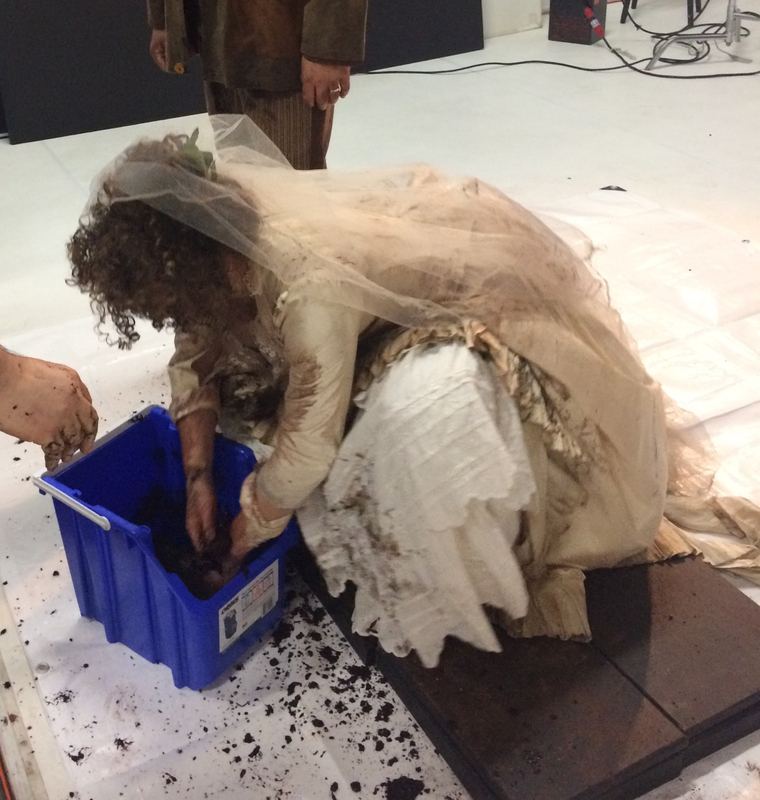 These two veterans got into the spirit of things right away as they got ‘down and dirty’. 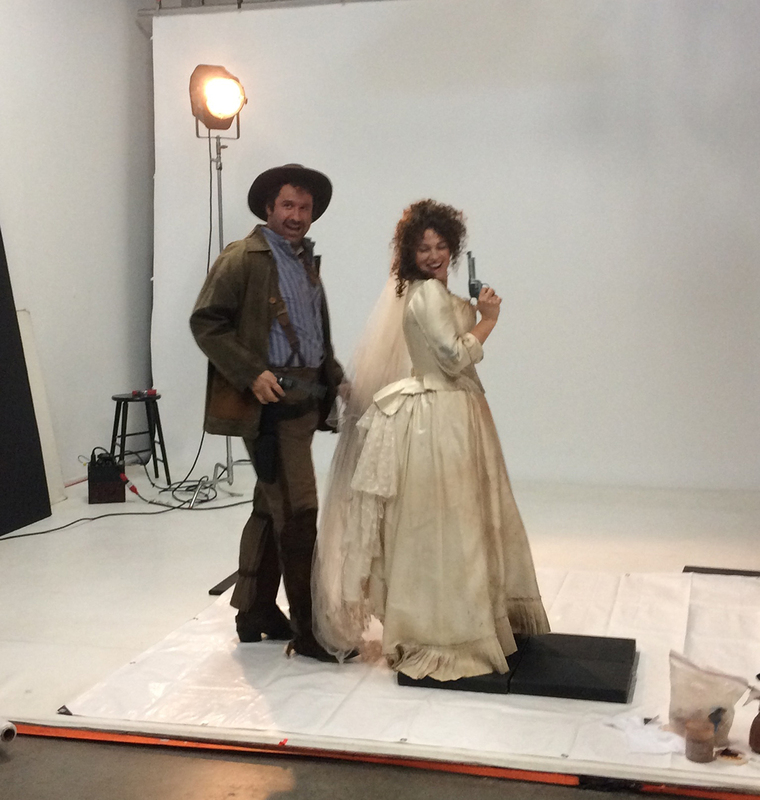 It really felt like we were in the Wild-West with lots of real mud and classic cowboy props! 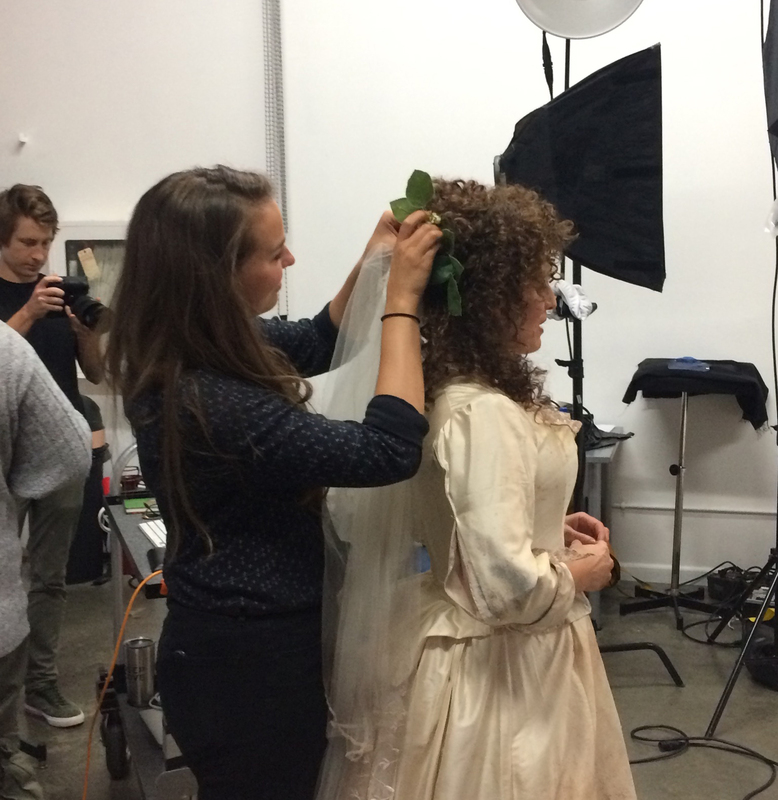 Our photographer was Emily Cooper, shooting at her East Vancouver studio. The creative team included Dean Paul Gibson (Bard’s Associate Artistic Director & creative director for the shoot), Heather Kennedy (Director of Marketing & Communications), Amy McDougall (Bard’s Head of Wardrobe), hair and make-up artist Carey Williams (@carey40), and Sherry Jang (Senior Designer, Carter Hales Design Lab). Kate’s wedding dress was designed by Mara Gottler. This year’s production of The Taming of the Shrew is inspired by Miles Potter’s 2007 spaghetti-western version, which was a huge hit that season. Our 30th Anniversary production will be directed by Lois Anderson (Lysistrata, 2018). 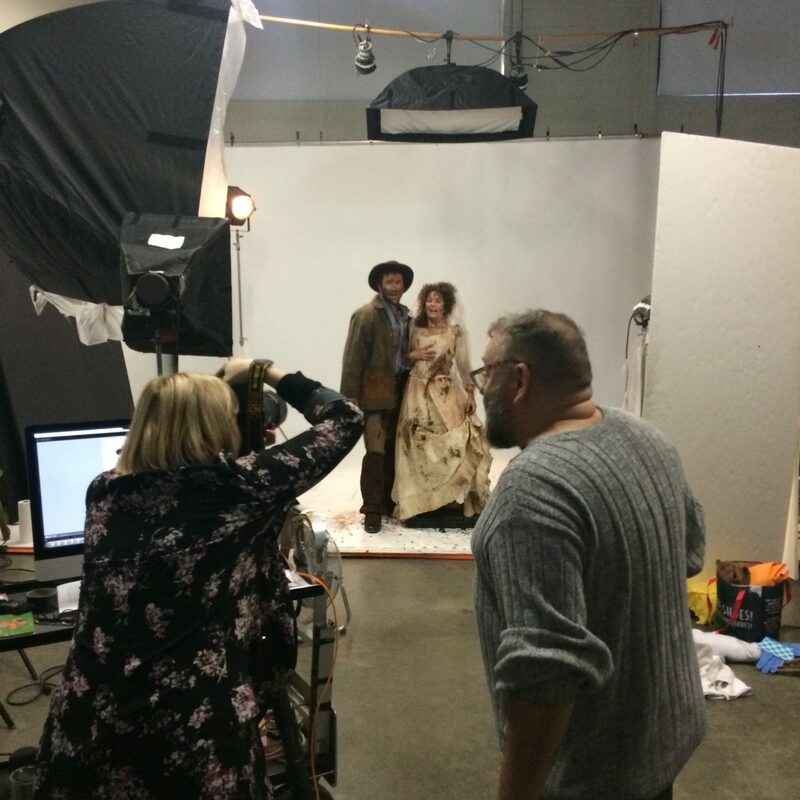 Still to come on the blog — we go behind the scenes at the photo shoots for All’s Well That Ends Well and Coriolanus. Final advance photography to be revealed in late February — stay tuned.